While JiC is almost only used as place for commentary rather than synopses or snap-shots of others views, I figured I would grant some respite to those tired of hearing what I think and highlighting three particularly interesting pieces. 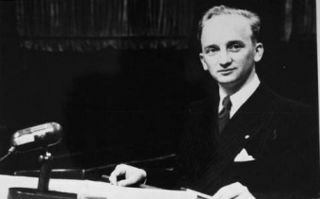 First, there is a prescient and cogent piece at Xavier Rauscher‘s blog The International Jurist. His post considers the complex and somewhat conflicted relationship between contemporary international law and terrorism. Here are a few snippets, though I really urge all readers to read the entire piece. The next two pieces are thanks to my fellow student and friend Paul Kirby, a contributor to the blog The Disorder of Things, who brought them to my attention. 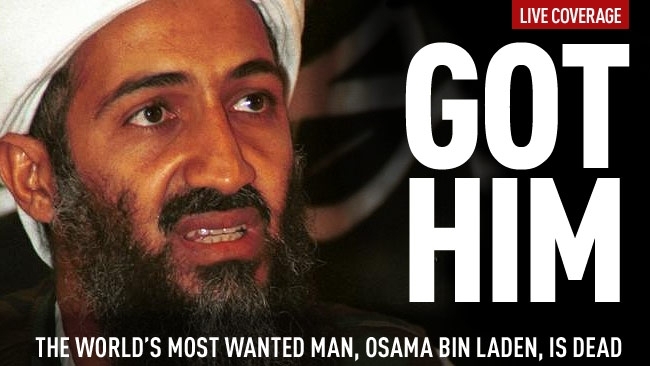 First, there was a very interesting BBC programme last night on the death of bin Laden. In particular, the show focussed on the hypotheticals of what a trial of bin Laden would have looked like. The programme was only more remarkable for its participants, including a former US Attorney General and legal advisor under the Bush administration, and international criminal lawyer and Milosevic trial prosecutor Geoffrey Nice. The most insightful comments, however, were offered by Benjamin Ferencz, a former prosecutor at the Nuremberg Trials (yes, the ones in 1945!). Ferencz was remarkably thoughtful and persuasive in his comments. You can watch the show by clicking here, any time in the next 7 days. Lastly, in the debate on the justice of bin Laden’s death, there haven’t been many particularly enlightening views. The landscape is still dominated by those who simply see past any problems with extrajudicial assassinations. Yet some commentators have delivered thoughtful insights that help us think through the important questions of whether and how the killing of bin Laden was or was not just. It is worth pausing to admire Obama’s masterful rhetorical conflation here of two different conceptions of justice. One sense of “justice”, of course, has to do with courts, legal process, fair trials, and the rest. This has to be the sense invoked in Obama’s reference to the desire to bring Bin Laden to justice. In this spatial metaphor, justice is a place: implicitly, a courtroom, or at least a cell with the promise of process. (Or even, in extremis, Guantánamo Bay, still not closed, where indefinite “detention” or imprisonment is Unspeakily palliated with the expectation of some kind of tribunal.) To bring someone to justice is to put them in a place where they will be answerable for their alleged crimes. To be answerable in this sense, it helps to be alive. 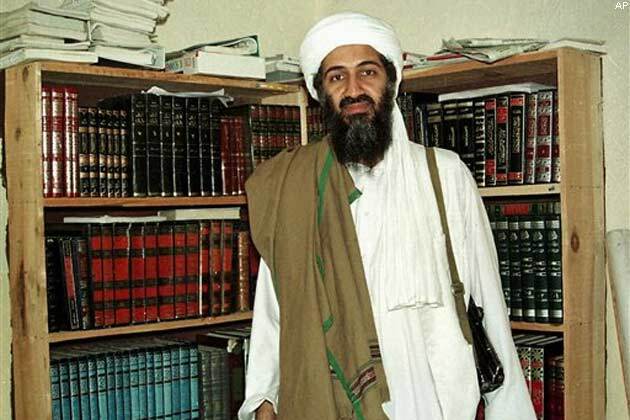 The debate about the justice of killing bin Laden continues. Steven Poole has provided a particularly articulate delineation of the justice(s) involved in bin Laden's assassination. But it is quite another sense of “justice” — meaning a fair result, regardless of the means by which it was achieved — that is functioning in Obama’s next use of the word: the quasi-legal judgment that justice was done. On what sorts of occasion do we actually say that justice was done? Not, I suppose, at the conclusion of a trial (when it might be claimed, instead, that justice was served); rather, after some other event, away from any courtroom, that we perceive as rightful punishment (or reward) for the sins (or virtues) of the individual under consideration. (Compare poetic justice.) The claim that justice was done appeals, then, to a kind of Old Testament or Wild West notion of just deserts. What, after all, happened between the desire to bring Bin Laden to justice and the claim that justice was done? Well, Bin Laden was killed. He was not, after all, brought to justice. Instead, justice (in its familiar guise as American bombs and bullets) was brought to him. The perspectives in all of these pieces deserve attention and need to be grappled with. If you find any others which are particularly salient, thoughtful and articulate, please don’t hesitate to send them along! This entry was posted in Afghanistan, Human Rights, Justice, Middle East, Osama bin Laden, Osama bin Laden and international law, Pakistan, Terrorism. Bookmark the permalink.